Adorning yourself does not have to stop after you have gloves, belts, baldrics, bracers, and more. You can keep on adding to your attire, especially if you do not mind wearing a wicked head accessory like this impressive Dragonscale Leather Headband! This headband is a perfect match to our dragonscale leather belt (DK2030), although like the belt, it is still a very impressive accessory when worn on its own. The headband consists of a series of scale shaped leather plates that are fastened together to create a chain of scales that wrap around the wearers head. The front of the headband features a single, flat leather plate that joins the links of scales, providing a center that is perfect for situating over your forehead, giving this headband an effective front that is further adorned with engraved line designs that echo the look and feel of a dragons style. The headband fastens via lacers and ties in the back, which makes it highly adjustable. Thanks to its high degree of adjustability, this headband is a one-size fits-all item. 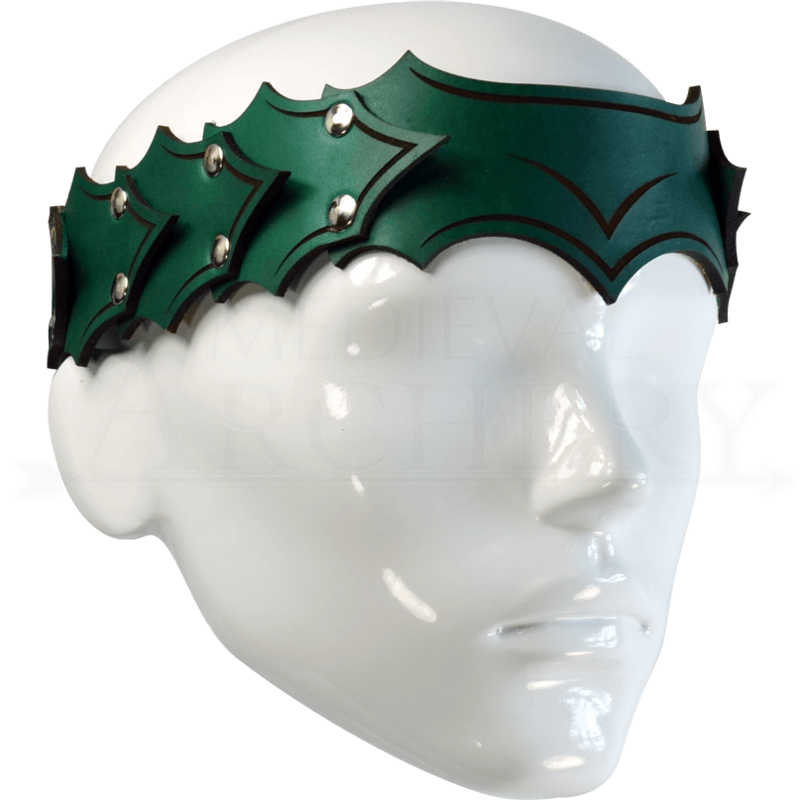 Add this Dragonscale Leather Headband to your attire if you are looking for that eccentric accessory that will really help you stand apart from all the others, while also enhancing how truly dragonish you look while in costume! Really nice leather work on the headband. Wish it had an elastic band on the back instead of a lace tie though. Dan H.